The Western Australian Institute of Sport (WAIS) is an elite sports institute set up in 1983 by the Government of Western Australia to support athletes in Western Australia. Previously, if elite athletes from Western Australian needed to train or receive coaching at an international level they had to move to one of the Australian Institute of Sport (AIS) campuses which were generally based in the eastern states. The founding director was Wally Foreman who held the position for 17 years until 2001. Marcus James North is a former Australian first-class cricketer who played 21 Test matches and two One Day Internationals (ODIs) for the Australian national side. The West Indies cricket team, traditionally known as the Windies, is a multi-national cricket team representing the Anglophone Caribbean region and administered by Cricket West Indies. The players on this composite team are selected from a chain of fifteen Caribbean territories, which are parts of several different countries and dependencies. As of 24 June 2018, the West Indian cricket team is ranked ninth in the world in Tests, ninth in ODIs and seventh in T20Is in the official ICC rankings. Sachin Ramesh Tendulkar is a former Indian international cricketer and a former captain of the Indian national team, regarded as one of the greatest batsmen of all time. He is the highest run scorer of all time in International cricket. Tendulkar took up cricket at the age of eleven, made his Test debut on 15 November 1989 against Pakistan in Karachi at the age of sixteen, and went on to represent Mumbai domestically and India internationally for close to twenty-four years. He is the only player to have scored one hundred international centuries, the first batsman to score a double century in a ODI, the holder of the record for the most number of runs in both Test and ODI, and the only player to complete more than 30,000 runs in international cricket. He is colloquially known as Little Master or Master Blaster, and often referred to as the God of Cricket by Indian cricket followers. In 2001, Sachin Tendulkar became the first batsman to complete 10,000 ODI runs in his 259 innings. In 2002, halfway through his career, Wisden Cricketers' Almanack ranked him the second greatest Test batsman of all time, behind Don Bradman, and the second greatest ODI batsman of all time, behind Viv Richards. Later in his career, Tendulkar was a part of the Indian team that won the 2011 World Cup, his first win in six World Cup appearances for India. He had previously been named "Player of the Tournament" at the 2003 edition of the tournament, held in South Africa. In 2013, he was the only Indian cricketer included in an all-time Test World XI named to mark the 150th anniversary of Wisden Cricketers' Almanack. The Prime Minister's XI or PM's XI is an invitational cricket team picked by the Prime Minister of Australia for an annual match held at the Manuka Oval in Canberra against an overseas touring team. The Australian team usually consists of up and coming grade cricketers from the Canberra region and state players. The Sri Lanka cricket team toured Australia in February 2017 to play three Twenty20 International (T20Is) matches. Cricket Australia confirmed the venues in August 2016, which included the first-ever international cricket match to be held at Kardinia Park, Geelong. With both Steve Smith and David Warner unavailable due to the scheduling of the series against India, Aaron Finch was named as Australia's captain for the series. Sri Lanka's T20I captain Angelo Mathews was unavailable for the tour, after suffering a hamstring injury during the second T20I against South Africa in January 2017. The 2016–17 Sheffield Shield season was the 115th season of the Sheffield Shield, the domestic first-class cricket competition in Australia. It started on 25 October 2016 and finished on 30 March 2017. There was a break between December and January for the Big Bash League. 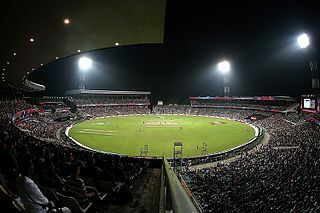 The first round of matches were played as day/night games in preparation for Australia's day/night Test match against Pakistan on 15 December 2016. A second day/night round of fixtures took place in round five of the tournament. 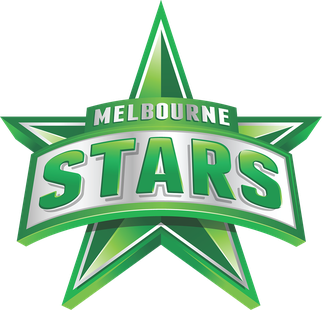 The 2017–18 Big Bash League season or BBL|07 was the seventh season of the KFC Big Bash League, the professional men's Twenty20 domestic cricket competition in Australia. The tournament started on 19 December 2017 and finished on 4 February 2018. Perth Scorchers were the defending champions. The competition was extended to a total of 40 group games for the first time, each team playing ten matches in the group. The Perth Scorchers is an Australian domestic Twenty20 cricket team representing Perth in the Big Bash League (BBL). Born in Subiaco, Western Australia, Voges was raised in Rockingham, and attended Safety Bay Senior High School. In WACA District Cricket, he originally fell under the Rockingham-Mandurah District Cricket Club's recruitment zone, but transferred to the Melville Cricket Club on a special permit. He went on to tour with the Western Australia under-19 cricket team, and captained the side during the 1998–99 season, later playing for Australia at under-19 level. Voges was the winner of the 2001–02 Olly Cooley Medal for the best player in the WACA grade cricket competition. Voges made his first-class debut on 8 December 2002 for Western Australia in the Pura Cup match against Tasmania. After averaging only 17 with the bat in the four matches he played, he spent the 2003/04 season playing grade cricket. In April 2015, Voges was called up to the Australian Test Cricket squad for the first time in his career for the away Test series against the West Indies and England, respectively. He made his maiden Test century on his debut against the West Indies in Dominica in June 2015. He also became the oldest Test debut centurion, and the oldest player to win a man-of-the-match award on Test debut. [ citation needed ] His baggy green cap was presented by Brendon Julian. Voges was named as stand-in test Vice-Captain for Australia after David Warner suffered a thumb fracture during the ODI series against England from the bowling of Steven Finn. 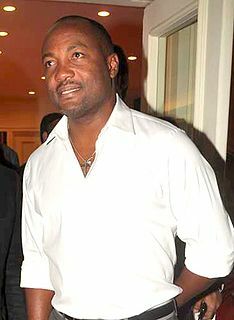 Brian Charles Lara, is a Trinidadian former international cricketer, widely acknowledged as one of the greatest batsmen of all time. He topped the Test batting rankings on several occasions and holds several cricketing records, including the record for the highest individual score in first-class cricket, with 501 not out for Warwickshire against Durham at Edgbaston in 1994, which is the only quintuple hundred in first-class cricket history. Lara also holds the record for the highest individual score in a Test innings after scoring 400 not out against England at Antigua in 2004. Lara also shares the test record of scoring the highest number of runs in a single over in a Test match, when he scored 28 runs off an over by Robin Peterson of South Africa in 2003. Vangipurapu Venkata Sai Laxman, commonly known as V.V.S. Laxman, is a former Indian cricketer and currently a cricket commentator. Matthew Lawrence Hayden AM is an Australian cricket commentator and former cricketer. His career spanned fifteen years. Hayden was a powerful and aggressive left-handed opening batsman, known for his ability to score quickly at both Test and one day levels. David John Hussey is a former Australian cricketer. Hussey is a right-handed batsman and can also bowl right-arm offbreaks. He is the younger brother of former Australian cricketer Michael Hussey. He was captain of the Melbourne Stars in the Big Bash League. Luke Ronchi is a New Zealand cricketer who plays in franchise leagues. Previously, he represented Australia national cricket team and New Zealand national cricket team in international cricket. Ronchi is the only player to have played for both Australia and New Zealand in cricketing history. Ronchi was part of the New Zealand World Cup side that finished runners-up in the 2015 Cricket World Cup, after their defeat in the final to Australia; Ronchi's former country. He plays for Wellington in New Zealand domestic matches and has played Twenty20 matches for the Islamabad United, Mumbai Indians, Perth Scorchers, Somerset, Birmingham Bears, Leicestershire Foxes, Guyana Amazon Warriors and Chittagong Vikings. Shaun Edward Marsh is an Australian cricketer who plays for the Western Warriors in Australian domestic cricket and represents Australia in Test and One Day International formats. Nicknamed SOS, he is a left-handed opening batsman. Liam Murray Davis is an Australian cricketer, currently contracted to Western Australia in Australian domestic cricket. A former Australian under-19 representative, Davis made his debut for Western Australia in 2006. Generally playing as an opening batsman, he did not establish himself in the state team until late in the decade, having previously missed several matches due to injury. In February 2012, Davis scored a triple-century, 303 not out, against New South Wales, the second-highest score ever recorded for Western Australia at first-class level. He was also featured on the supplementary list of the Perth Scorchers for the 2012–13 season of the Big Bash League, but is yet to play a game for the team. Ranganath Vinay Kumar is a player who has represented India at Test, One Day International (ODI) and Twenty20 levels. He is a right-arm medium fast bowler who plays domestic cricket for Karnataka and also in the Indian Premier League for Kolkata Knight Riders Till 2018. He captained Karnataka to two consecutive Ranji Trophy titles in 2013–14 and 2014–15 seasons. In November 2018, he played in his 100th match in the Ranji Trophy. Mitchell Ross Marsh is an Australian international cricketer. Marsh has represented Australia in all three forms of cricket, making his debut during the 2011–12 season. Darren Michael Bravo is a West Indian cricketer who plays domestic cricket for Trinidad and Tobago, international cricket for the West Indies in One Day International (ODI) cricket and Test cricket and for Kolkata Knight Riders in the Indian Premier League. A left-handed batsman, his batting style has drawn comparisons with Brian Lara. Bravo is the younger half brother of fellow West Indies cricketer Dwayne Bravo and is the first cousin of former cricketer Brian Lara. Virender Sehwagpronunciation (help·info) is a former Indian cricketer. Widely regarded as one of the most destructive batsmen of all time, Sehwag played as an aggressive right-handed opening batsman and also bowled part-time right-arm off-spin. He played his first One Day International in 1999 and joined the Indian test side in 2001. In April 2009, Sehwag became the first Indian to be honoured as the Wisden Leading Cricketer in the World for his performance in 2008, subsequently becoming the first player of any nationality to retain the award for 2009. He is the former Occasional captain of India, former Vice-Captain of India, former captain of Delhi Daredevils and former captain of Delhi Ranji Team. Azhar Ali is a Pakistani international cricketer and a former captain of Pakistan ODI team. Ali made his Test debut for Pakistan against Australia in the first Test at Lord's in July 2010. An agile right-hand batsman and a part-time leg-break bowler, Ali became the first ever Centurion, Double Centurion & Triple Centurion in a Day and Night Test Match, when he scored 302 against West Indies in October 2016. Meghann Moira Lanning is an Australian international cricketer who currently captains the Australian women's national team and the Victorian Spirit. She holds the record for the most career centuries in women's One Day Internationals, with twelve. In March 2018, during Australia's match against England in the 2017–18 India women's Tri-Nation Series, Lanning became the first Australian, male or female, to score 2,000 runs in Twenty20 Internationals. Hilton William Raymond Cartwright is a Zimbabwean born Australian international cricketer who plays for Western Australia and the Melbourne Stars. He is a right-handed all-rounder. Cartwright made his Test debut for the Australian national team in January 2017, having earlier played for Australia A and the National Performance Squad. In January 2017 he won the Bradman Young Cricketer of the Year prize awarded by Cricket Australia. Joseph Anthony Burns is an Australian cricketer who plays for the Brisbane Heat in the KFC T20 Big Bash League, for Queensland in Australian domestic cricket. Ashton Charles Agar is an Australian cricketer who plays all forms of the game at international level. Agar plays domestically for Western Australia and the Perth Scorchers. A left-handed spin bowler, he played two Test matches for the Australian national side during the 2013 Ashes series. ↑ "Adam Voges". cricket.com.au. Cricket Australia. Archived from the original on 16 January 2014. Retrieved 15 January 2014. ↑ "Highest Career Batting Average". ESPNcricinfo . Retrieved 24 December 2017. ↑ "ICC Test and ODI Teams of the Year announced". International Cricket Council . 31 January 2017. Retrieved 24 December 2017. 1 2 Adam Voges: Australia batsman takes Test average over 100 in New Zealand, BBC Sport, 2016-02-13. Retrieved 2016-03-13. ↑ "Voges announces international retirement". ESPN Cricinfo. Retrieved 14 February 2017. ↑ "Sri Lankan XI warm up by thrashing PM's XI". ESPN Cricinfo. Retrieved 15 February 2017. ↑ "Voges, Doherty and Hartley opt for retirement". ESPN Cricinfo. Retrieved 15 March 2017. ↑ "Adam Voges re-signs with Perth Scorchers". Cricbuzz. Retrieved 16 October 2017. ↑ Adam Voges player profile Archived 15 October 2012 at the Wayback Machine – Perth Scorchers. Retrieved 9 November 2012. ↑ History: 1990s – Melville Cricket Club. Retrieved 9 November 2012. ↑ Andrew Miller, Voges looks over his shoulder for call-up, Cricinfo, 8 December 2006. Retrieved 9 December 2006. ↑ "www.sitecore.net". Cricket.com.au. Retrieved 2015-12-30. ↑ "Australia tour of West Indies, 1st Test: West Indies v Australia at Roseau, Jun 3–7, 2015". ESPNCricinfo. Retrieved 3 June 2015. ↑ "Adam Voges scores century on Test debut to rescue Aussies". 9 News. Retrieved 4 June 2015. ↑ "'Old man' Voges joins the greats". cricket.com.au. Retrieved 2015-12-11. ↑ "WI 91/6 (43.0 ov, CR Brathwaite 3*, DM Bravo 13*, PM Siddle 2/19) – Stumps | Live Scorecard | ESPN Cricinfo". Cricinfo. Retrieved 2015-12-27. ↑ Wu, Andrew (13 February 2016). "Australia v New Zealand Test series: Adam Voges bumps average beyond 100, passes Sir Donald Bradman". ↑ Seervi, Bharath (24 February 2016). "Runs and records for Australia's top five". 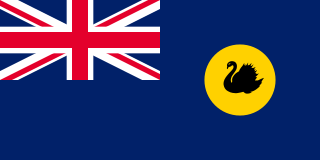 1 2 "West Indies tour of Australia, 2015/16 – Australia v West Indies Scorecard". ESPNcricinfo. 12 December 2015. Retrieved 1 January 2016. 1 2 "West Indies tour of Australia, 2012/13 – Australia v West Indies Scorecard". ESPNcricinfo. 10 February 2013. Retrieved 1 January 2016. ↑ "West Indies tour of Australia, 2012/13 – Australia v West Indies Scorecard". ESPNcricinfo. 13 February 2013. Retrieved 1 January 2016. ↑ "Twenty20 Cup, 2009 – Yorkshire v Nottinghamshire Scorecard". ESPNcricinfo. 4 June 2009. Retrieved 1 January 2016.